Harriet Bedell was born on March 19, 1875. Inspired by an Episcopal missionary, she enrolled as a student at the New York Training School for Deaconesses where she was instructed in religion, missions, teaching, and hygiene. She then became a missionary-teacher among the Cheyenne at the Whirlwind Mission in Oklahoma. In 1916, Bedell was sent to Stevens Village, Alaska, where she was finally set apart as a deaconess in 1922. She also served as a teacher and nurse at St. John’s in the Wilderness at Allakaket, just 40 miles south of the Arctic Circle, where she sometimes traveled by dogsled to remote villages. During her last years in Alaska, Bedell opened a boarding school. In 1932, hearing about the plight of the Seminoles in Florida, Bedell used her own salary to reopen a mission among the Mikasuki Indians. There, she worked to revive some of their traditional crafts: Doll-making, basket-weaving, and intricate patchwork designs. The arts and crafts store that they established to sell their handicrafts improved the economy of the Blades Cross Mission. Though forced to officially retire at age 63, Bedell continued her ministry of health care, education, and economic empowerment until 1960 when Hurricane Donna wiped out her mission. Active into her eighties, Deaconess Bedell drove an average of 20,000 miles per year during her ministry. She was one of the most popular writers in the national Episcopal mission periodical, The Spirit of Missions. Bedell won the respect of indigenous people through her compassion and respect for their way of life and beliefs. 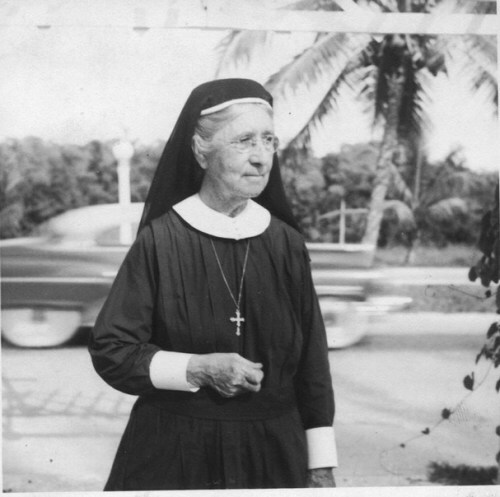 While active in ministry among the Cheyenne, she was eventually adopted into the tribe and given the name “Bird Woman.” The diocese of Southwest Florida has long celebrated Harriet Bedell Day on January 8, the anniversary of her death in 1969. I Holy God, thou didst choose thy faithful servant Harriet Bedell to exercise the ministry of deaconess and to be a missionary among indigenous people: Fill us with compassion and respect for all people, and empower us for the work of ministry throughout the world; through Jesus Christ our Lord, who liveth and reigneth with thee and the Holy Spirit, one God, for ever and ever. Amen. II Holy God, you chose your faithful servant Harriett Bedell to exercise the ministry of deaconess and to be a missionary among indigenous peoples: Fill us with compassion and respect for all people, and empower us for the work of ministry throughout the world; through Jesus Christ our Lord, who lives and reigns with you and the Holy Spirit, one God, for ever and ever. Amen. The work of the deaconesses in the first half of the 20th century is too important to be overlooked. I never knew Deaconess Bedell, but I knew several others whose work was seldom known beyond their lcal areas. I am delighhted to see her added to the calendar. The Hebrew reading: verse 9:4 seems a little odd for Deaconess Bedell: ‘‘You that are simple, turn in here!’ To those without sense she says, …’ But I guess it is OK.
Bio. She lacks a ‘who is she’ and ‘why is she important’ statement. Re Deaconesses: someone ought to look into the ones who worked in the mountain ministries in Virgnia. Line 1, first paragraph: add “in Buffalo, N.Y.” after “born”. Line 4, second paragraph: substitute “doll-” for “Doll-“. Lines 6 & 7, second paragraph: amend word order to read “officially forced to retire”. “missionary-teacher” (paragraph #1). Why the hyphen? Missionary AND teacher? Teaching missionary? A good write-up. Very worthwhile commemoration, both in terms of her own individual service and, as other commenters have mentioned, as honoring to the important role of the church’s deaconesses and diaconate. Collect: Uninspired. “Holy God” — as if that’s all that can be said here. No thanksgiving — just a flat “you chose A.B. to do xyz..” Petition lists two things God should do (fill us with compassion, empower us for work throughout the world. No “so that” clause — presumably “empower us” covers it. Standard closing — no complaint there. There’s nothing new about these criticisms. Readings: Old Testament lesson is acceptable, albeit straddling two units. The Psalm is good, and would be better if it went all the way to the end, a few verses farther along. Certainly no objection to the two verses from Romans about the deacon Phoebe and her good service. Beatitutdes serve well for the gospel. ‘Hearing about the plight of the Seminoles in Florida, Bedell used her own salary to reopen a mission among the Mikasuki Indians’—presumably the Mikasuki and the Seminoles are the same, but perhaps that could be made clearer. It’s open to misinterpretation as is. Reading on Wikipedia regarding the Seminoles and Mikasuki tribes is interesting. The Mikasuki and their language are separate from the Seminoles. In South Florida today the Mikasuki operate a thriving casino on their land along the Tamiami Trail. Philip’s point needs to be verified and researched. Was the habit she is wearing in the photo typical of Episcopal Deaconesses or was she also a remember of a religious order?